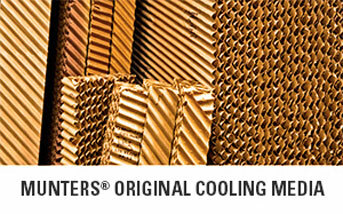 Exceptional cooling rates are achieved due to the design, manufacturing and materials used in CELdek. The steeper angle of Munters® unequal flute design flushes dirt and debris from the surface of the pad. This cleaning action directs water toward the air entering face of the pad where it is needed most. additional 10-20% of water should be used. 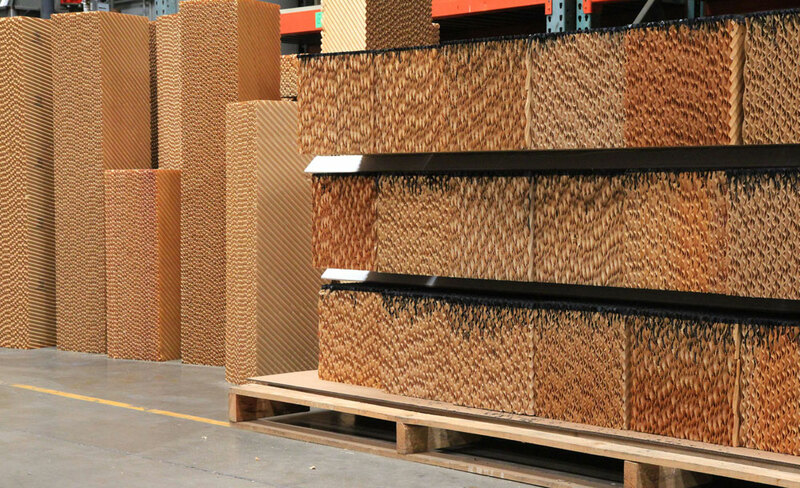 MI-T-edg® algae resistant edge coating is available for all sizes of CELdek evaporative cooling media for longer pad life and easier cleaning. CELdek is designed to distribute water from the front to the back of the pad. 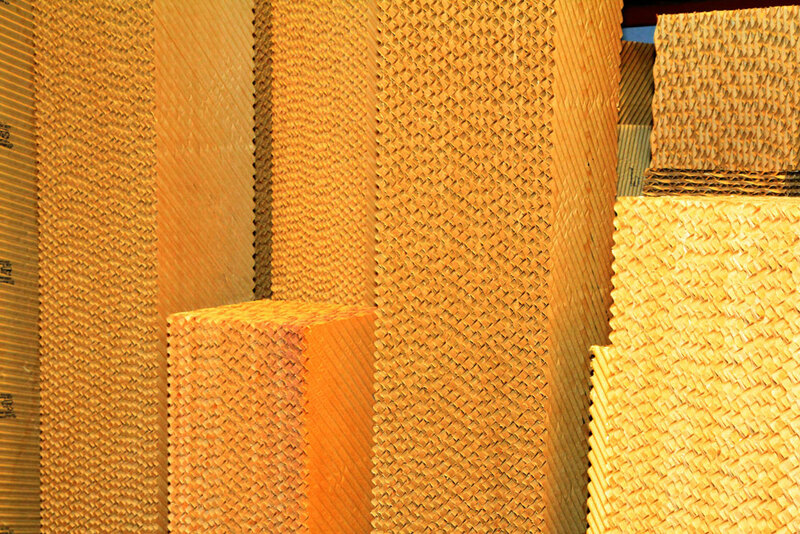 For lateral distribution, a 2″ or 3″ distribution pad should be used. 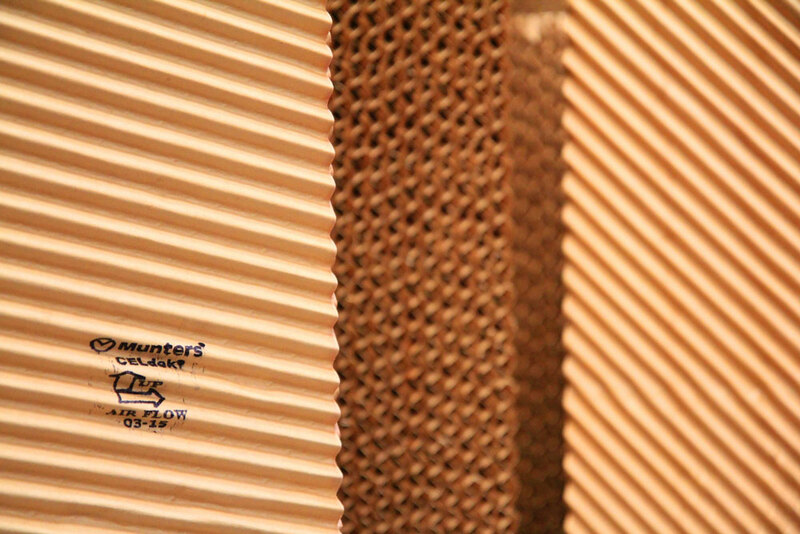 These specially designed pads are also protected with Munters®’ patented edge treatment. Mineral deposits can be minimized by maintaining a continuous water bleed-off, or by periodically dumping the methods and/ or quantity of bleed-off may vary depending on the pH and hardness of the supply water, and Munters® can assist you by recommending individual bleed-off rates. 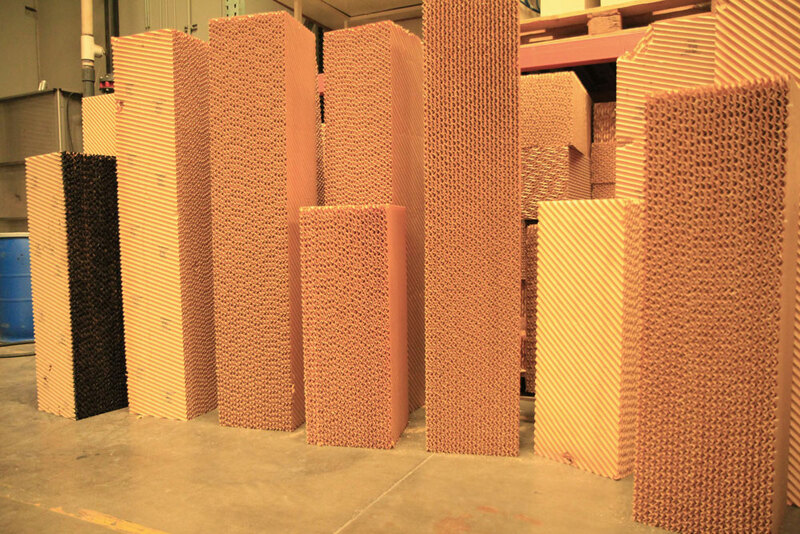 If algae is allowed to grow freely on a CELdek pad it may eventually clog the flutes and inhibit the flow of air. 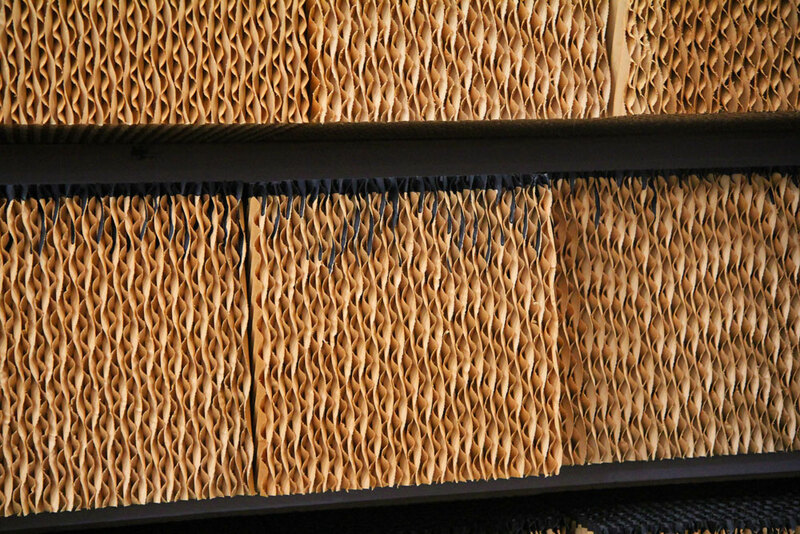 This increases the static pressure and reduces the efficiency of the pad. Algae growth can be controlled by early implementation of simple maintenance techniques. 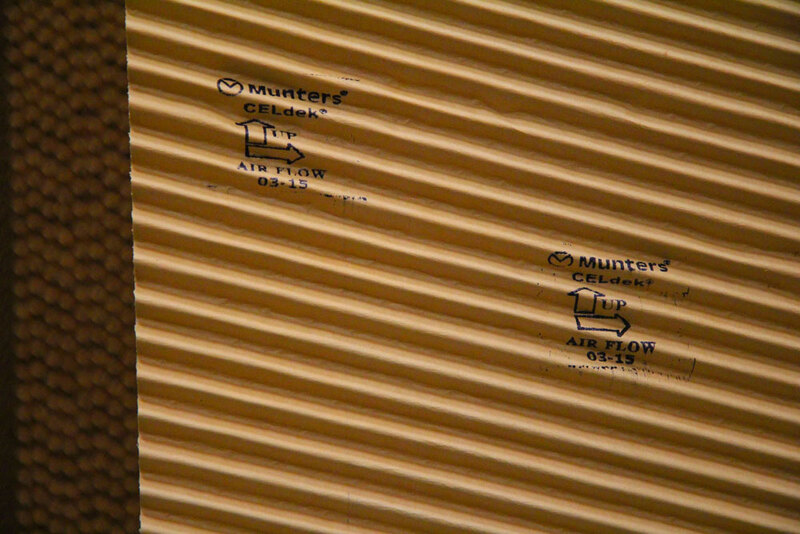 Munters® maintenance bulletins provide information to help maximize the efficiency and life of CELdek evaporative pads.